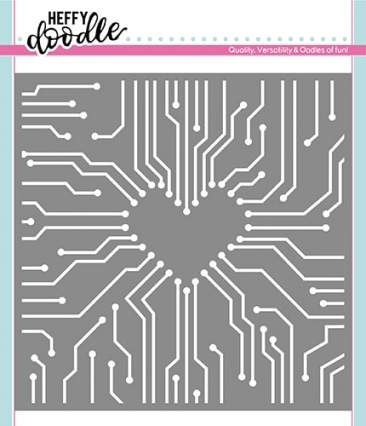 Love Circuits by Heffy Doodle is a 6″ x 6″ stencil. Create a clever background by using inks, pencils, paint, sprays, pastes and so much more with your stencils, but remember to wash them quickly after use! Emulate the look of a motherboard using gold paste on dark coloured cardstock, or use with inks to create tone on tone looks for stunning backgrounds.